You may think you know the story of Guinevere, but you’ve never heard it like this: in her own words. Listen and you will hear the true story of Camelot and its queen. 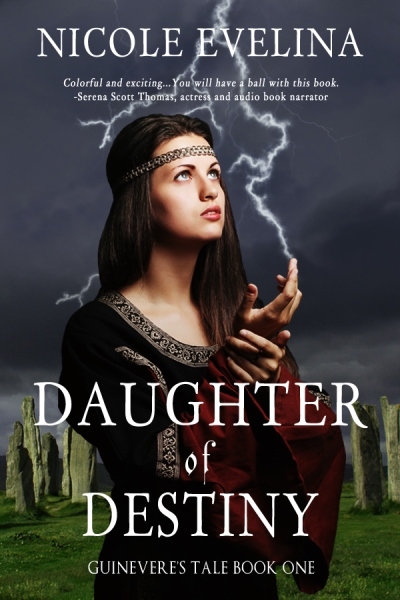 Fans of Arthurian legend and the Mists of Avalon will love Daughter of Destiny, the first book in a historical fantasy trilogy that gives Guinevere back her voice and traces her life from an uncertain eleven year old girl to a wise queen in her fifth decade of life. 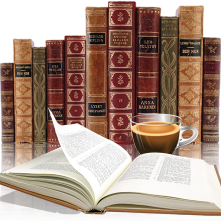 I liked the authors writing style, fast paced, entertaining making it hard to put down. Ending not exactly at a cliffhanger but at a new chapter in her young life. I think this is a great start to this series and can't wait to read more. "Thee here gathered serve me well, and I am pleased. But the day will come when sister shall oppose sister, both in this sacred place and without. Loyalties will be tested and betrayed, so heed my warning. That which is birthed in jealousy shall not give life but infect all who draw near. Therefore, act with love and not out of spite. Only then shall you escape the fate the stars foretell." 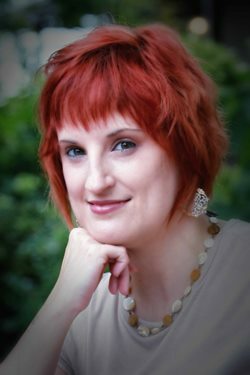 Nicole Evelina is St. Louis-born historical fiction and romantic comedy writer. She hopes to have the final book in Guinevere’s Tale available in late 2016 or early 2017. Nicole is a member of and book reviewer for the Historical Novel Society, and Sirens, a group supporting female fantasy authors, as well as a member of the Romance Writers of America, Women Fiction Writers Association, the St. Louis Writer’s Guild, Women Writing the West and the Alliance of Independent Authors. Rules – Giveaway ends at 11:59pm EST on February 26th. –Only one entry per household. So glad you enjoyed the book! And thank you for being part of my blog tour! Great review, Margaret! I loved the book as well (I'll be posting my review on the 23rd for the tour). I can't wait to read the second book, Camelot's Queen.